I'm back! I've been having had a blogging break while I tried to get on top of everything else that has been loitering on my assorted to-do-lists for so very long. I did post that I was intending to not blog for a few weeks but then didn't realise for yonks that a glitch in the sytem meant it wasn't visible! it would be so nice to have a techy brain... mine goes so far then says 'Too much information'. Thanks to those who have mailed me via my website while I've been gone to check I was still alive (! ), much appreciated even if I haven't answered everyone. Sorry! I've still got a backlog of emails but the rest is now more manageable. or it would be if Christmas wasn't just around the corner. Baby Riley is off with his mum and dad to Australia for Christmas, I certainly envy them Christmas in the sun. One day we shall go somewhere hot over the holiday, maybe even go on a festive cruise; last hot Christmas I had was when I lived in Nigeria a long time ago and everyone used to go to the beach for the day. I had many a hot Xmas Day in my youth. Ah... nostalgia. 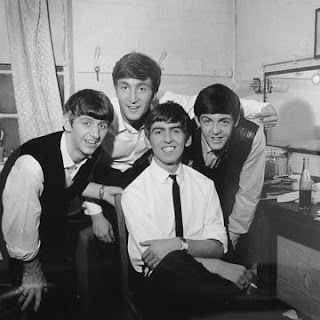 Talking nostalgia, I had an email and phone call from a guy who is writing a book about the Beatles touring around cinema venues in the 60's, he'd read somewhere that I was THERE. Now that was something to remember. Queuing for three days and sleeping on the pavement to get tickets and then of course, going to the show itself. And there was also the trouble I was in for bunking off school and also lying to parents because I knew I wouldn't be allowed. Deep Joy! I remember the cold of the nightime queueing, the fun of just being there and the noise of the show itself and the surreal feeling of being just a few feet away from John, Paul, George and Ringo! Yes, I saw the BEATLES live on stage at Southend Odeon and have the tickets and programme to prove it. I love this pic of them. So young; but then so were we all! 'Whatever the Cost' ground to a halt for a while when I think my brain shut-down for a rest. I watched much daytime TV and read many trashy magazines and I'm up and at it again now. Have to wait and see where the whole book goes; I'm taking a chance with this one so am on rsiky ground. Hope to have it finished by Christmas but there are several party nights in between so we'll see. 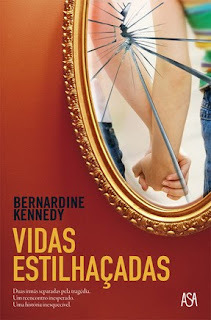 Below is the Portugese cover of 'Shattered Lives'. I really like this cover also, tells the story quite well I think. It's out over there this month sometime. TAKEN is currently with a US publisher. Fingers and everything else are crossed but I'm not sure how my books would suit that market. Still, wait and see. 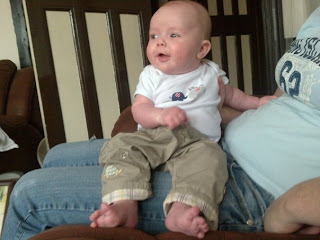 Below is another pic of Riley who is growing fast and turning in a real water baby already having swimming lessons. Brilliant. I was a competitive swimmer once upon a time and also used to teach swimming so I love the idea of getting him in there asap. And of course his mum is Australian and his dad has always loved swimming. Olypic Games, here comes Riley! Love the pics, both of the Beatles and of Riley.